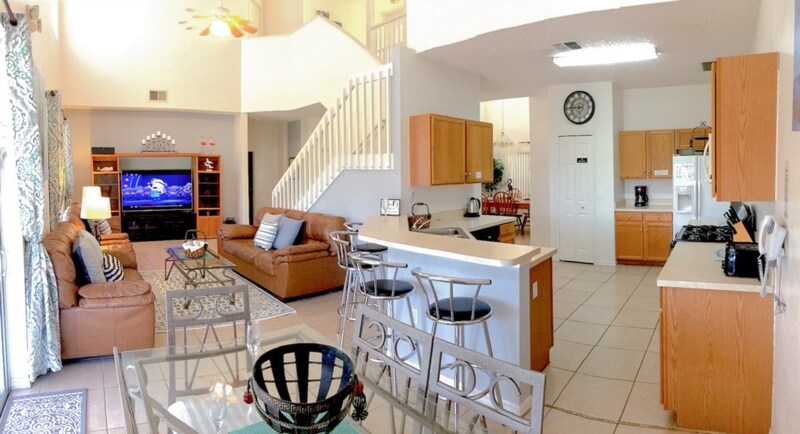 6 bedroom, 3 bathroom villa in the Crescent Lakes community. Owned by Ron Sharples. Ref: 1796. Superb Large Spacious Villa with 6 Bedrooms & 3 Bathrooms, Large Swimming Pool & Jacuzzi that overlooks a picturesque fishing lake. Thank you taking the time to look at our stunning 6 bedroom fully air conditioned villa. 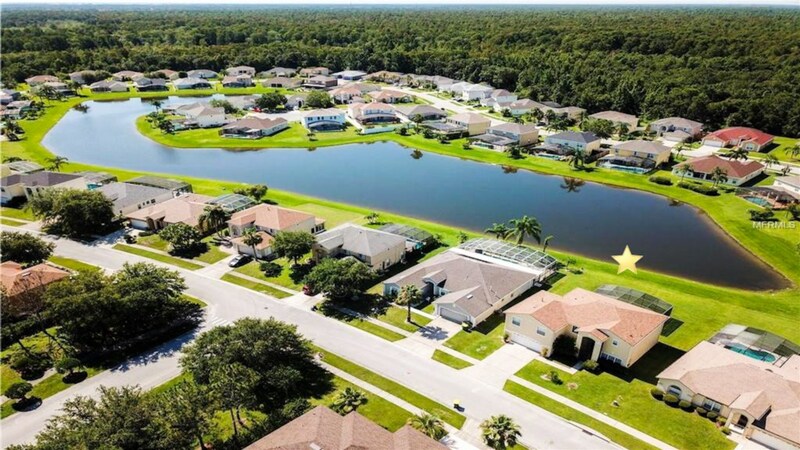 Our villa is situated in the beautiful area of Crescent Lakes which is a quiet and tranquil community. Disney is a mere 20 mins drive away from our Villa and is an easy drive to all the main attractions such as Universal Studios, Islands of Adventure, Aquatica, Gatorland, The Florida Mall, The Premium Shopping Outlets, as well as all the attractions on the 192. The villa is also close to Orlando International Airport so once you land there is only a short journey where your luxury villa awaits! Inside the villa are 4 spacious double bedrooms consisting of two king beds and two queen beds we also have 2 twin bedrooms. The master bedroom has an en-suite and there are two further family bathrooms for guests. If you wish to dine in, our kitchen is fully equipped with all you need and there are 2 ambient dining areas to choose from. For infants we provide a cot, high chair and also a stroller. 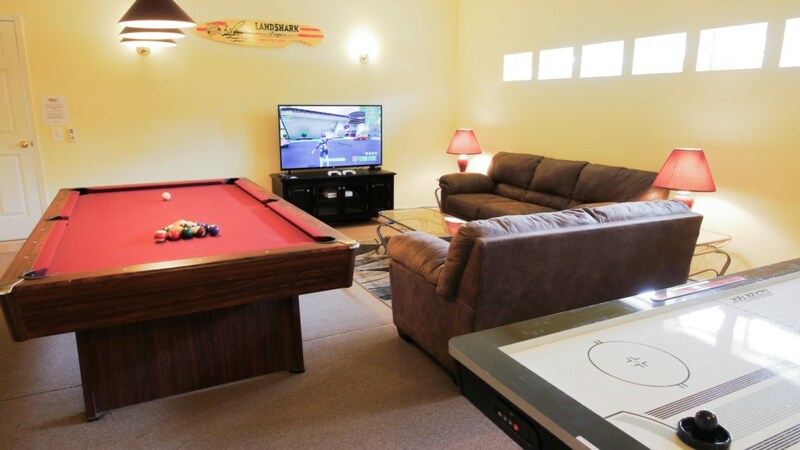 Our games room is equipped with with a full size professional slate pool table, air hockey table, Nintendo Wii & games, CD Stereo and Cable TV with hundreds of channels. There is also an upstairs chill-out den with Xbox 360 & Cable TV. Super Fast Unlimited Broadband is installed throughout the villa and free to use throughout your stay! Outside is a gorgeous fully heated 30ft south facing swimming pool with ambient evening lighting, a jacuzzi hot tub and patio area with gas BBQ, table & chairs & sun loungers. At the rear of the villa is a superb fishing lake where wildlife is plentiful and you are freely available to fish in the lake if you please. We even give you the fishing rods to use for free! A 5 minute stroll from our villa you will find 2 children parks with excellent play areas for young children, a shaded picnic area for adults & children to enjoy snacks whilst the children play, a full sized tennis court and outdoor basketball court. This is the perfect way to spend those free days where you just want to relax with family. We are very proud of our villa and it is looked after with the utmost care. We are happy to answer any of your questions such as planning your stay, advice on park tickets, car hire or anything else you may want to know to make your family vacation the best one ever! We believe our villa is the perfect villa for your next vacation. 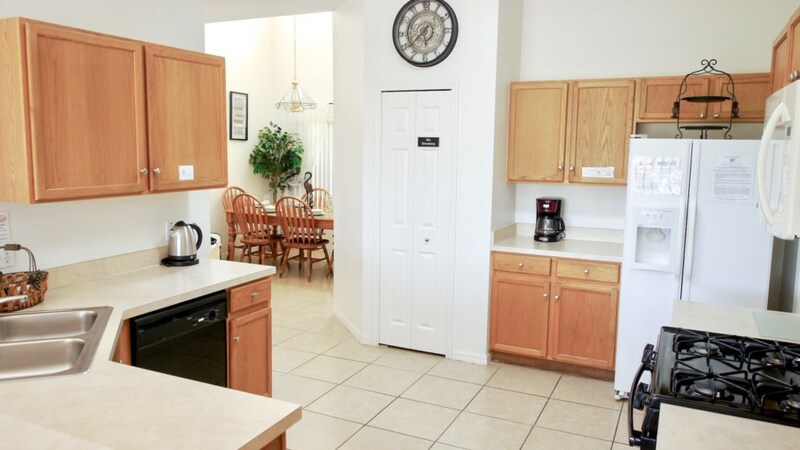 We take pride in making sure our villa is clean, comfortable, and very inviting. It is in the perfect location with super friendly neighbours, two children's parks in walking distance, and a beautiful lake that is literally just outside the pool enclosure area where you can fish for free, we even give you the fishing rods to catch your own supper! You simply won't find a better location. Please take a look at the descriptions below. Huge 70" 4K UHD TV complete with ambient colour changing lighting. Includes all the popular Apps including Netflix, Amazon Prime, Hulu, YouTube and many more. Cable TV provided by Spectrum with hundreds of HD channels! DVD / Blu-Ray Player, Two Tan Leather 3 seater & two seater luxury sofa armchairs, Ceiling fan, double patio doors that lead out to the pool area and lake, real wood furniture and genuine slate flooring. 3 glass coffee tables with twin table top lampshades. Granite surfaces, stainless steel appliances, large American fridge freezer, dishwasher, non stick pots & pans, large oven, grill hob, microwave oven, coffee machine, toaster, glassware & plastic glassware for outside, cooking utensil, cutlery & crockery. The breakfast bar has 4 high swivel stools with granite surface top. Two fully furnished dining areas, one situated in the hall with solid oak furniture and ambient overhead light and one in the front of the kitchen overlooking the pool & lake. Maybe you will spot some of Florida's wildlife whilst at breakfast! Industrial sized washing machine and dryer, iron, ironing board, vacuum cleaner, brushes and mops incase of any light spillages. 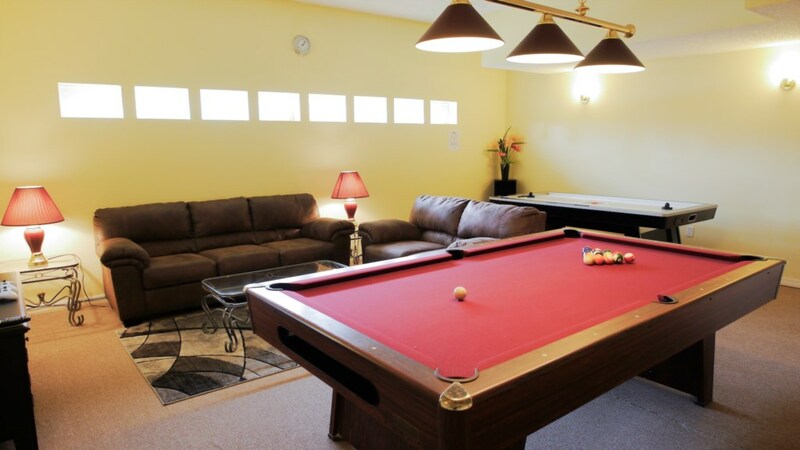 Full sized professional pool table & cues, Air hockey table, Nintendo Wii & games, TV with hundreds of cable channels, Hi-Fi Stereo & CD Player. The perfect plate to relax that includes large flat screen TV with cable channels plus Xbox console and an executive comfy leather chair for gaming or office use. 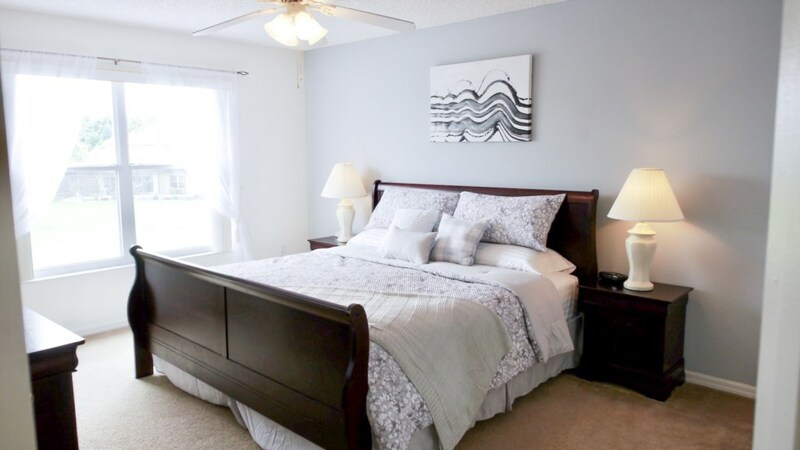 6 bedrooms complete with high-quality comfortable beds and furnishings. Flat screen HD TVs with Spectrum cable TV in every room! Master bedroom complete with en-suite, bathroom & shower and WC, his & hers sinks, walk in wardrobes. Large 30ft south facing pool with jacuzzi hot tub, safety fence, inflatable toys, Large gas BBQ, 5 poolside sun loungers, outdoor table with 4 chairs plus 4 extra leisure chairs. Fully screened against mosquitos, Glorious lake views with lots of natural wildlife to look at. Not overlooked like most other villas. Also For your security we have installed CCTV cameras on a timed system around the property with infrared vision for midnight to dusk surveillance. The villa includes a high chair, cot and a stroller to save you on any park hire charges! For piece of mind we have a safety fence around the pool plus an alarmed pool door. We are fortunate to have two beautiful parks only a 5 minute walk away from the villa that have excellent play areas for children that also include picnic areas not to mention the gorgeous surroundings! US$ prices quoted do not include 13.50% Sales and Tourist Tax. UK£ prices quoted do not include 13.50% Sales and Tourist Tax. Rentals can start any day of the week. Payments accepted in US dollars and Pounds Sterling. All major credit cards accepted through Pay Pal. subject to card surcharge. For stays of less than 5 days a cleaning charge of $140 dollars apply. Pool/Jacuzzi heat is £120 $160 a week. A $300 / £200 security deposit is required on booking. Balance is due 10 weeks before departure. You beat me to it! I was aiming to email you tonight to thank you. Yes everything was perfect. We thoroughly enjoyed ourselves and cant thank you enough for allowing us to stay in your lovely villa. 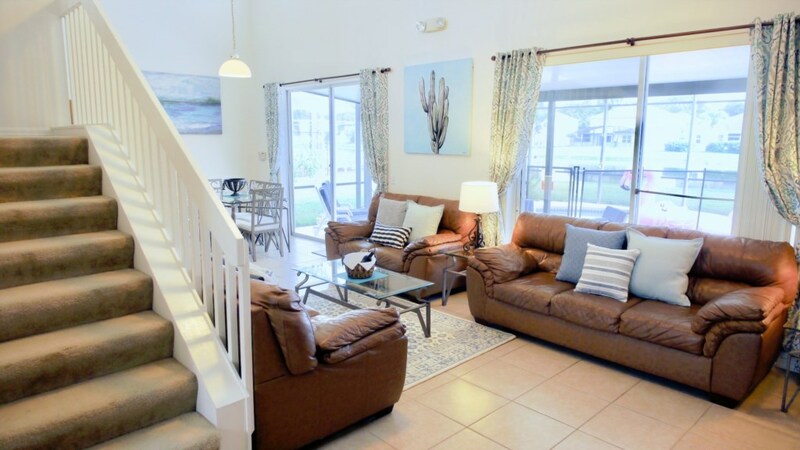 We were particularly impressed with the decor and furniture, massive tv and lovely pool with extended lanai, a great sun shade and a full set of modern loungers with covers (only needed a couple ourselves!). The view was to die for and we really enjoyed the wildlife, including your alligator! The garage, sorry games room, was amazing and we thought blocking off the garage door and finishing walls, ceiling and floor was really clever. You have obviously put a lot of thought into making it very special and we can't wait to return with family next year. Thank you for the lovely review, it is always great to hear and we really appreciate it! overhead lanai so that it will cover the new bar area.. Your enquiry will be sent to villa ref 1796 only. This page has been viewed 57256 times since 21 Nov 2004.